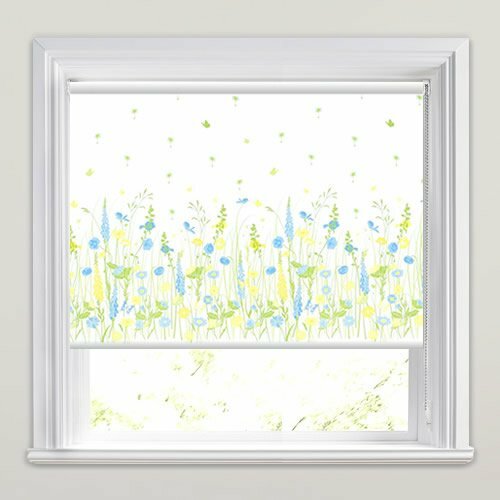 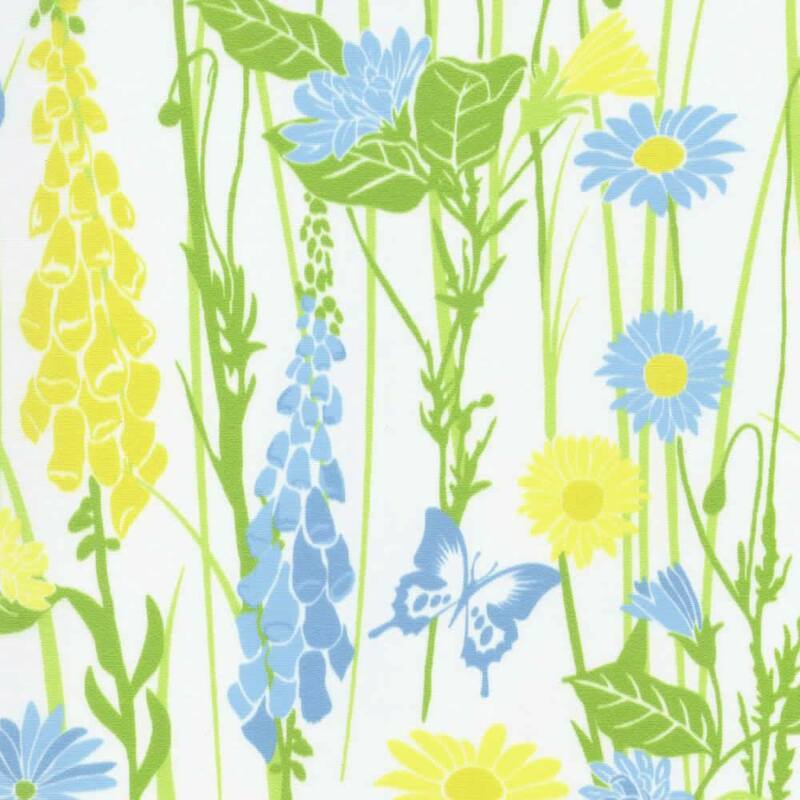 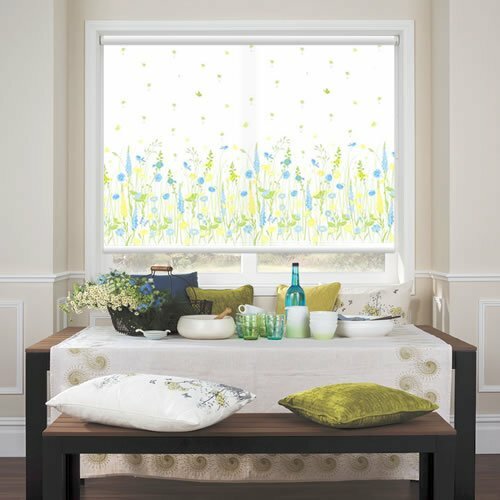 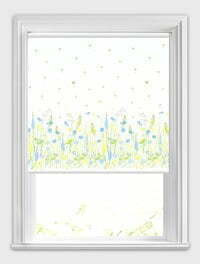 Ideal for a natural country cottage look at the kitchen window, these beautiful wild spring meadow flowers patterned roller blinds feature rich tones of lime green, blue and yellow on a fresh white backdrop. 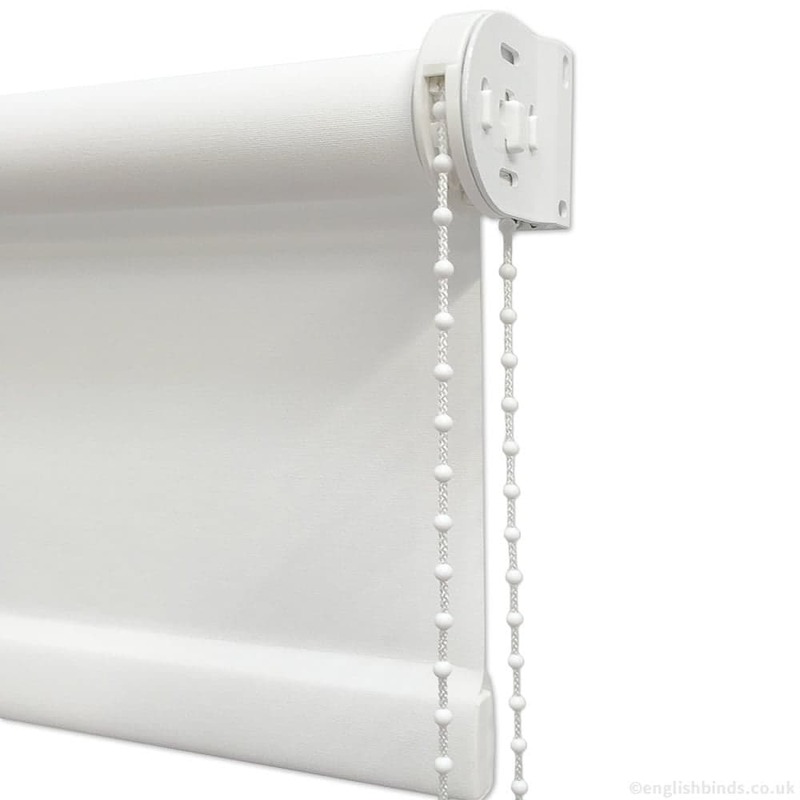 Good fast delivery. 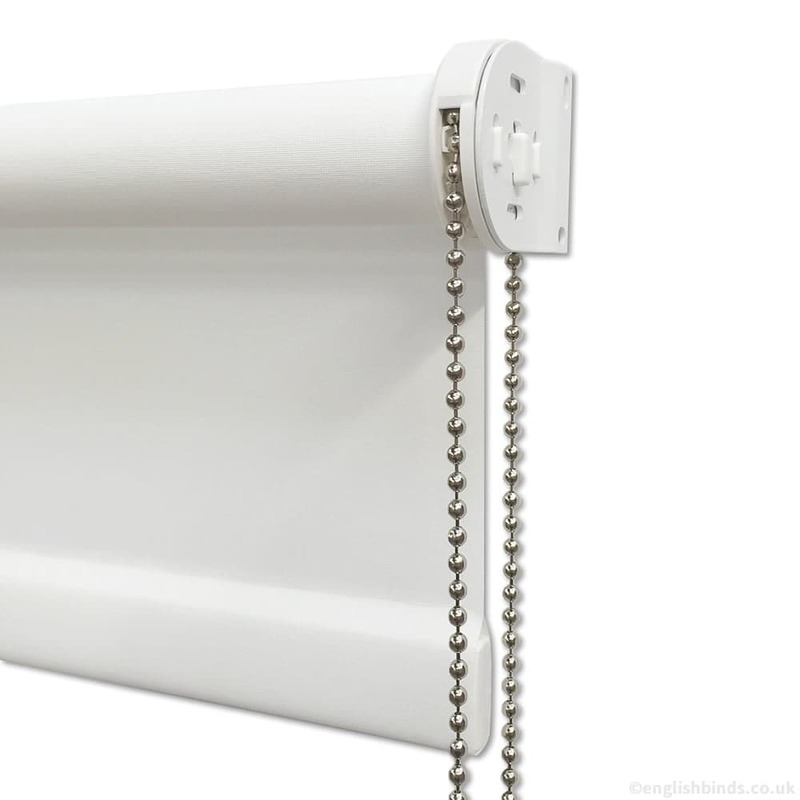 easy to fit no problems.